A source to draw on. When I have laid the table and we are sitting at your LIFE IS A PICNIC it makes us feel good and together. The printed cloth is immediately recognizble as a lawn covered in daisies. The designer appeals to an elementary Dutch feeling, in which pleasure is central. Bring the outdoor inside! 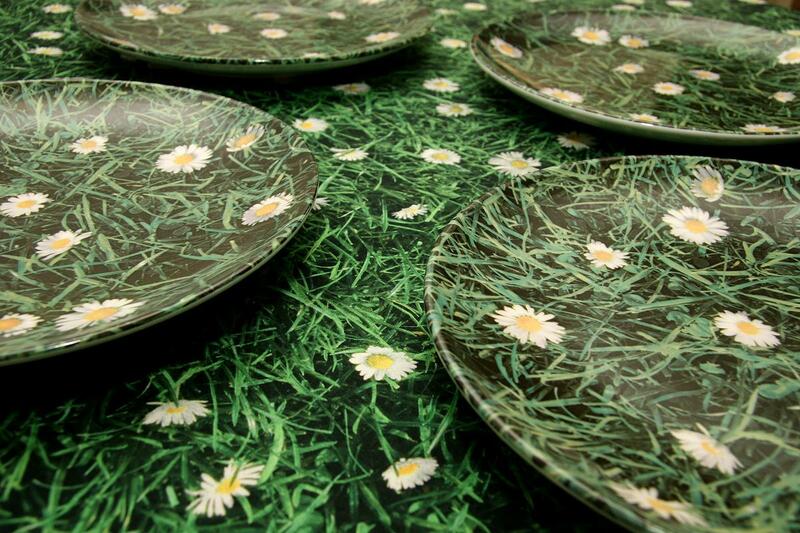 This tablecloth set has a lovely natural daisy print with grassy skirts.